Boku is a payment processing platform which allows customers to pay for items using their mobile phone number. Instead of customers having to register their personal information, enter their card or bank details to make payments, users will be able to charge purchases directly to their phone bill. So any purchases will either be added to your phone bill or will be taken from your phone credit. Not only that, customers will be able to make purchases simply using one tap (or 1-Tap as they call it). The result? A fast and easier checkout experience. Players will be able to use Boku whether using your mobile phone, on a laptop, desktop or smart TV and be able to make both one off payments or subscription payments, just using your mobile number. New customers only. 10 free spins are upon registration on Starburst Slot. SMS validation only. 100x wagering requirement. 4x maximum conversion. Welcome Bonus is on First 3 deposits only, Min Deposit £10, Max Bonus £500 + 50 Bonus Spins on Starburst Slot on 1st deposit, Selected Slots only, 30x wagering, terms & conditions apply. *New customers only, First deposit only, Min deposit £10, Max bonus $850 + 50 Spins on Starburst, Selected Slots Only, 40x wagering, T&C’s apply. There’s a new buzz word hitting the online payments world and the online casino industry is hot on its heels. Boku is soon to become a permanent fixture in the online gaming world, so if you’ve not heard of Boku already, then you will soon. What are the benefits of Boku for mobile casino and bingo players? When making any online purchases, there will be a section of customers that will be extremely nervous about providing their personal or card details. While all the online casino sites we list are all safe and secure, Boku can give that little extra reassurance to players hesitant about giving their details. The mobile payment industry is heavily regulated by mobile networks such as Ofcom, AIME and PhonepayPlus, which means it’s incredibly safe. As well as players that are unsure about giving their card details, there will be a number of players that might not be able to pay online with their card. With Boku, you only need a mobile phone to make payments; no registration, bank account or card details required. With so many of us leading fast-paced busy lifestyles, we’ve become accustomed to doing things quickly and expecting technology to work instantly. We’ll often not bother with a transaction when we click to the payment details page and see how many fields there are to fill. But if players use Boku, all they will need is their mobile number and the transaction should take less than 10 seconds. Another benefit Boku is bringing to the mobile casino industry, is its availability around the world. Boku has partnered with all major UK mobile phone networks as well another 250 network providers from 68 different countries. This could potentially open players up to a whole new world of casino and bingo sites which they would previously be unable to play in due to currency or payment issues. How will it work when I’m playing? Your account is credit and the amount will either be deducted from your phones credit or added to your mobile bill. It really is that simple. You will also receive a text confirming your transaction went through or if there are any issues and the payment failed. Payments will fail if you don’t have enough credit on your phone, if you’ve reached your monthly credit limit or if your network provider has an outage. If players need, they can also contact the customer service number which is provided in the text message. Online casino sites usually have a minimum deposit amount which is normally £10 or £5. This means when you’re making a deposit using Boku, it will be for the minimum deposit amount that particular online casino stipulates. It is also worth noting that Boku only allows players to deposit a maximum of £30 per day. This is to comply with Payforit regulations, to promote sensible gambling and also to prevent players from racking up huge mobile phone bills they may be unable to afford and therefore causing debt issues between a player and mobile provider. O2 have even introduced a new limit of £30 a month to avoid this potential problem. Boku will however, send players text message reminders of how much they’ve spent each month. Are there any downside for players using Boku? While the advantages of using Boku are very apparent, it won’t suit all players. 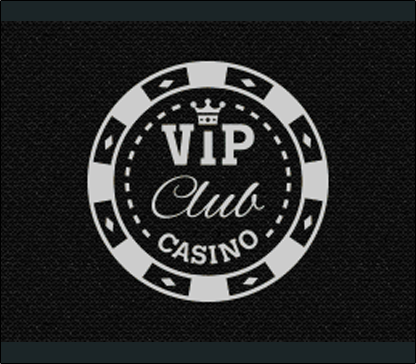 High rollers spending hundreds of pounds in a single transaction and those wanting to deposit larger amounts will be unable to due to the daily or monthly limit set by Boku or your network provider and while most casual players would never want to deposit more than £30 a day, for anyone that wants to wager large amounts, Boku simply isn’t suitable for them. Another potential downside is that most mobile casinos are not able to offer the welcome or deposit bonuses if a player uses Boku. This is because the mobile networks and Boku share part of the revenue with the online casino site. Because of this, mobile casinos can’t always afford to provide the bonuses to players using their mobile to pay. This is obviously an issue that the mobile payments industry is keen to resolve so they can compete with the likes of PayPal and Visa, and so are addressing this right now. Will you be using Boku payments? Now you know what Boku is all about and isn’t some fancy new Sushi restaurant that’s opened, next time you’re playing and notice that Boku payments are accepted, will you opt for it? Well, if you’re a high roller, wanting to splash out for the night or are a player that is keen to collect all the deposit bonuses you can, then Boku probably won’t be suitable for your needs. But if you’re wanting an extremely quick and efficient payment process with the security of never having to provide any bank or card details, then Boku is perfect for just that.